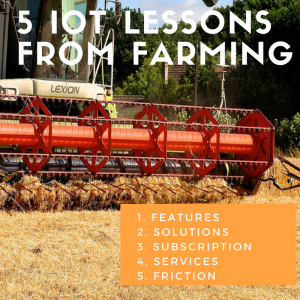 Innovation in farming technology can tell you a lot about how the IoT affects business models in the 21st century. Whether you’re a device manufacturer or software developer, it is important to evaluate the type of offering you bring to market in light of emerging markets and trends. 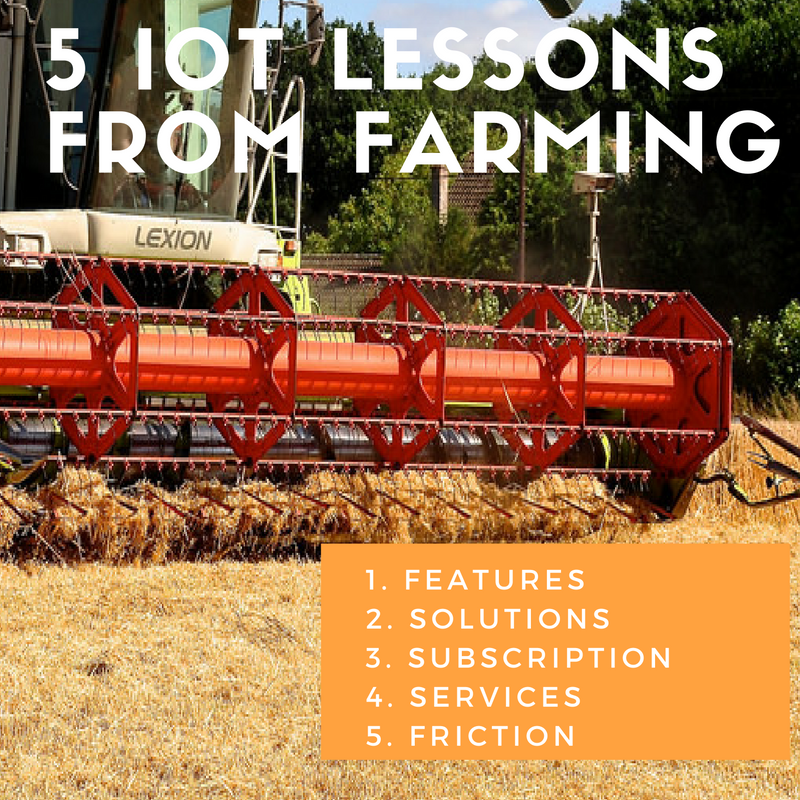 In this article, we present five lessons every IoT player can learn from technological advancements in agriculture. In the past, a device manufacturer would go to market with a device such as a watch, a car, a coffee pot, or a refrigerator, and a software developer would bring an industry-functional application, such as a CRM or ERP system. The advent of the IoT has given rise to a new breed of go-to-market proposition. Most software vendors and device manufacturers realize there is a lot of money to be made from the actionable intelligence that’s generated by connected devices. All this connectivity provides insight into how a device or application is being used, enabling you to easily capture incremental revenue by upselling additional features and services, as well as developing and cross selling completely new services that augment your core offerings. As a player in the industrial IoT space, you need to understand how your software licensing solution needs to interact with the customer. In this context, the term “solution” is used to describe products or services (or a combination thereof) that a service provider will offer its customers in response to specific business problems or needs. Most B2B IoT vendors today, especially the larger ones, need to take a solution approach to how they go to market. Your ability to secure a bigger wallet share of your customer is directly proportional to how much of an ecosystem you can build for the customer and how many comprehensive offerings you bring to market within that ecosystem. So, for example, in addition to your core offering, you might build an application and add a service layer on top. This requires you to fundamentally rethink your identity as an organization. You are no longer solely a device manufacturer or software vendor, but rather a solution provider. 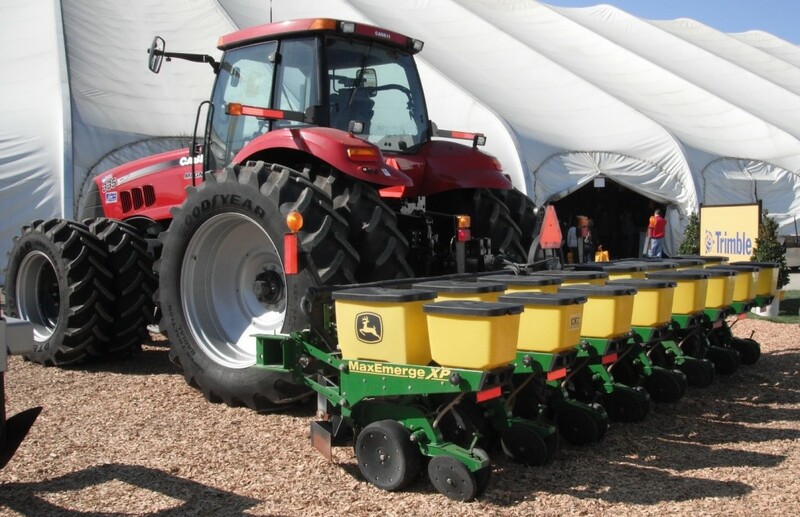 A leading farm equipment manufacture r in the US is in the process of transforming into a solution provider. About five or six years ago, the company was supplying farmers with different tractors according to the size of their farm. At one point, it had around 30 different pieces of farming equipment. More recently, the company has taken to differentiating key features like pulling power, horse power, top speed, torque, and so on. It found that instead of maintaining five different tractor models at five different price points, it could consolidate them into two models, and then use a software layer to control which farmer has access to which tractor features based on how much they pay. Although the hardware is essentially the same for small, midsize, and large farms, more horse power can be supplied to the customer through a software-enabled feature. Ultimately, the company will have to decide whether it is a manufacturer of tractors or farm productivity equipment. If it is the former, then it will continue selling tractors as it has always done. If, however, it decides it is the latter, it will start selling farm productivity solutions. One such solution might involve adding sensors to the soil, water source, trees, plants, etc. that collect and feed back environmental data to the company. These sensors are dirt cheap (if you’ll pardon the pun), so you can throw them liberally into the soil and wait for them to start generating data. With this actionable intelligence, the company can sell one farmer a time-to-sow service, another farmer a time-to-fertilize service, and a third farmer a time-to-harvest service, according to their individual needs. Because each of these farmers is buying different things, they are entitled to a different set of services. In order for the company to figure out and manage who is entitled to what on a much larger scale, they will need to use an entitlement management system such as Sentinel EMS. In the past, large hardware or software companies were only able to sell their devices for a fixed amount. High costs often deterred prospective customers from buying the devices, which resulted in lost revenue. Subscription-based pricing models, which IDC claims will account for 35 percent of total worldwide software revenues by 2018, are a much more attractive proposition as they allow companies to enter new markets. So, instead of selling a device for a million dollars, a company can rent it out for a relatively affordable $100,000, and then charge per additional feature. Consumption-based pricing, as it is known, is dependent on how much value the consumer sees in the service or application you are offering. Charging users according to the services they use is a more economical way of doing business and can actually increase customer loyalty. Going back to the example of our farm equipment manufacturer, the company has consolidated five tractor models into two, and is differentiating them by their features. The base model, devoid of bells and whistles, sells for $200,000, while the premium model, which can be souped up with extra horse power and torque, sells for $400,000. Every additional feature that holds value for the customer has its respective price point. So, what they end up with is a pricing model that’s perfectly aligned with their customers’ needs, ensuring maximum engagement. A services-based business can also benefit from the subscription model. For instance, if a farmer is interested in knowing the best time to water his fields, you could charge him $10 for providing that data. Of course, this is not a one-time event; to keep his fields properly irrigated throughout the year, the farmer will need this data on an ongoing basis, creating a dependency that leads to recurring revenue. The bottom line is that if your customer is willing and able to pay more for your service, device, or application… you should let them! The only way to capture that incremental revenue is with a feature-based licensing strategy – preferably one that has a recurring revenue component to it. This will enable you to price your services according to their value and increase long-term profitability, while improving customer engagement and bringing predictability and stickiness to your revenue streams. To take advantage of the service you offer on top of your intelligent device, you should have a very low-friction service adoption strategy. This means that your customers should be able to easily procure your service, get access to it, get authenticated, pay for it, and start using it. As a vendor, you need to have a very sound e-commerce strategy that contains a customer-facing portal and a shopping cart, so that end users can procure and access these services in a very simplistic and seamless manner. A cloud-based licensing and enforcement solution like Sentinel Cloud enables you to do just that. Once your customers start using these services and features, you will need to have in place a usage capture mechanism that supports a post-pay pricing model. This will ensure that customers are only paying for what they consume, much in the same way you pay for your telephone or electricity bill. Complementary to this, you will need a subscription and billing solution in order to generate invoices. The whole solution infrastructure described above will serve as the digital commerce backbone of any IoT vendor, helping them take advantage of emerging markets and trends. This is an updated version of an article posted on December 1, 2015.